This website is now open for business! 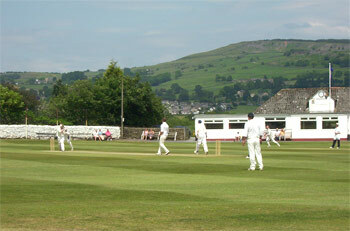 An Update from the YCB on key areas of interest to local Clubs. 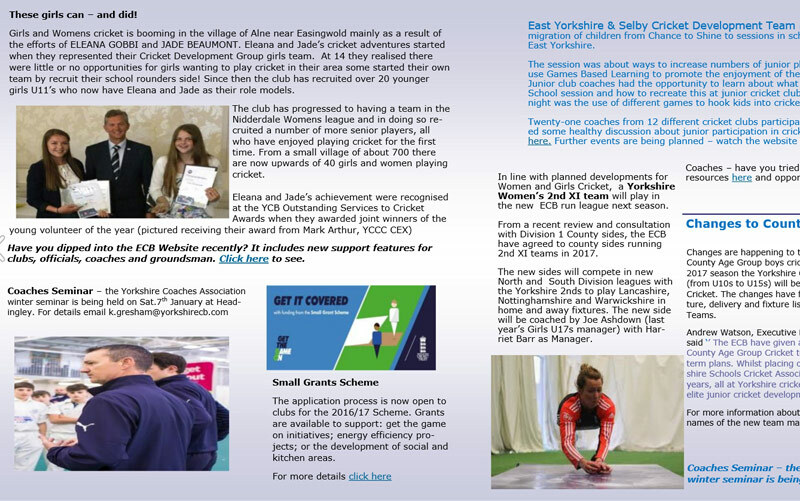 This included; Strategic priorities for the YCB in 2017, The new Club Development Support Framework, The results of the Latest National Player Survey for 2016, the latest position on avaiolability of funds from the YCB's Small Grants Scheme, the launch of Sports England's new Community Aset Fund, and finally news of the sad death of the YCB's Lawrence Walker who helped quite a few of us organise a variety of schemes to promote cricket and other important YCB Initiatives. 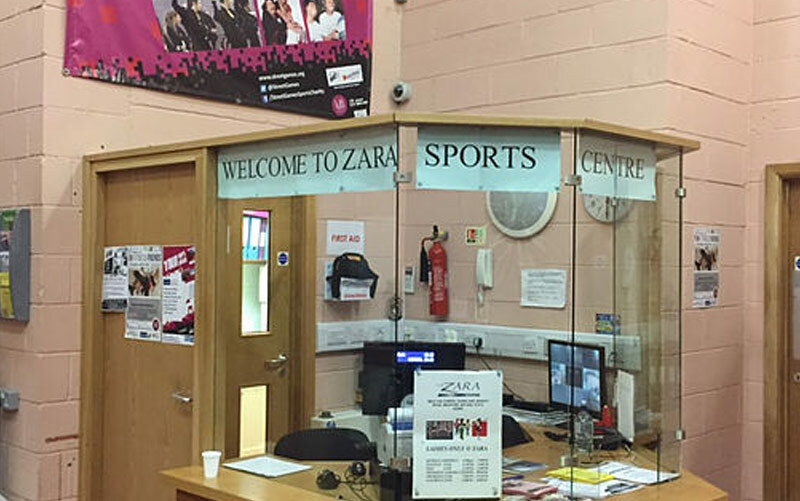 News from local Clubs about how they are developing their Clubs and what they are up to. 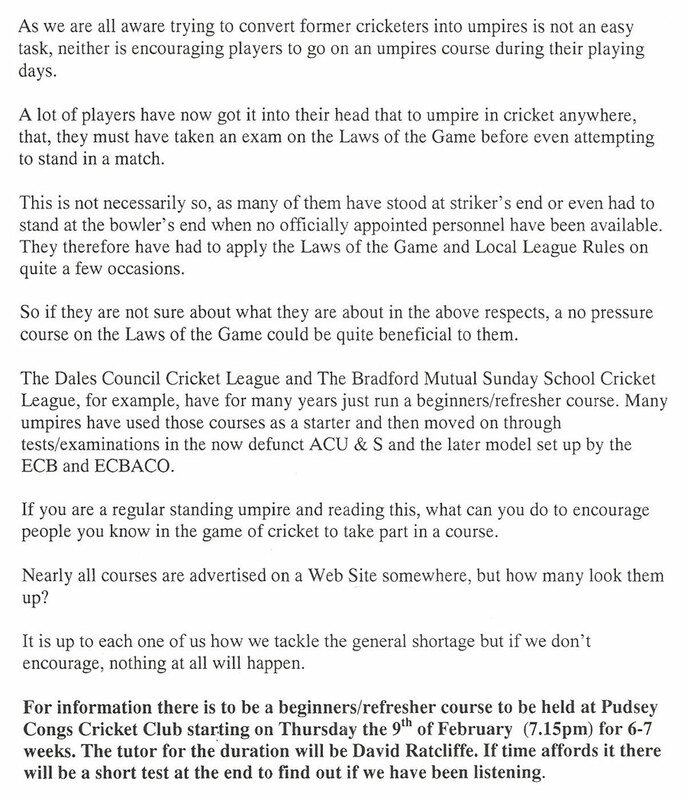 The Notes and details from the meeting can be acessed through the link below, so please havea read and come and join us at Bradford West CDG. Next meeting is 9th March at the same time and venue! Click on "Events" in the Menu to see what Courses are being organised for Local Clubs and when the next meeting of the CDG or West Yorkshire Area Cricket Council or YCB Members Board will take place. Notes for all the meeting events will be published on the CDG Website when they become available, helping you to keep up to date with the latest developments for Cricket in Yorkshire and what is available to help and support Clubs! The first edition of our new on-line newsletter has today gone live (see link below and also running on the front page of the YCB website). Our intention is to do monthly issues leading up to the season and then drop down to bi-monthly editions during the summer. Thursday, 23rd March 2017, 7:30 pm at Zara Sports Centre.